Because we love her... Please share in our excitement at a special birthday celebration honoring Kris. Champagne flowing. Dinner & dancing. At the bottom, the invite is signed by Kourtney, Kim, Khloe, Rob, Kendall, and Kylie. Yup, even Rob Kardashian will be there — so you know it's bound to be a great party. Guests are encouraged to "inspire [their] attire Gatsby Era." Sounds like an unforgettable night! Sadly, my invitation must have gotten misplaced in the mail. That's the only possible explanation as to why I didn't get one, right? Besides throwing an over-the-top party, Kris Jenner's kids have been posting sweet messages on Instagram throughout the day to show their love for their momager. Oh, and she also received a bunch of doughnuts, which I'm very jealous of. While we have to wait for all the Gatsby photos — because obviously the Kardashians take pictures of every family party — these snapshots of Jenner's birthday thus far should tide everybody over until then. The eldest Kardashian daughter refers to her mom as the "baddest bo$$iest momager alive," which I think is a fitting title for all of Jenner's future business cards. Of course Khloe posted a silly photo. She wrote, "I love you so much that I don't ever want you to sleep!!! Stay awake and play with me mom or else I'll write on you." She also dubs Kris a queen, which is pretty fitting. Kim Kardashian calls Kris her best friend and says, "Now that I'm a mom I have realized how hard your job is & no one does it better than you!" So sweet. Easily the most important part of any birthday celebration — the desserts. 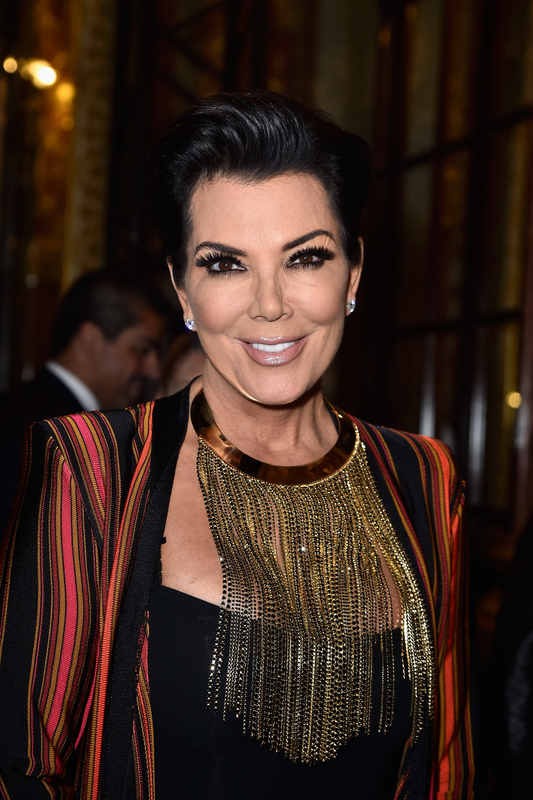 Happy birthday, Kris Jenner! In the words of Mean Girls, you're not a regular mom; you're a cool mom.